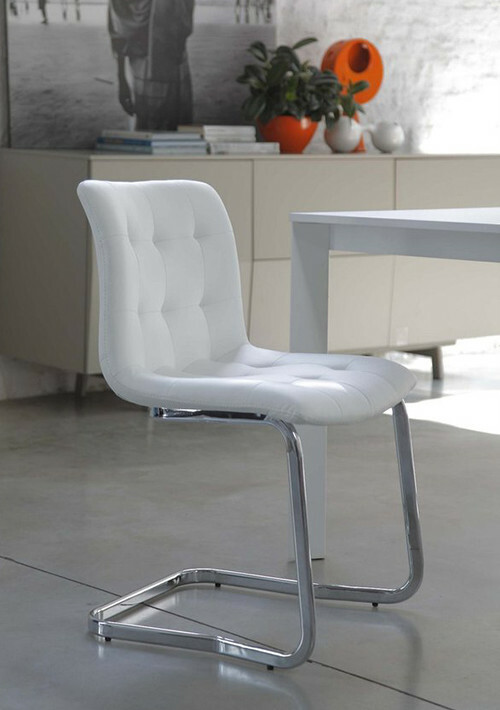 Chair with metal cantilever frame, upholstered shell and quilted in various fabrics or leathers. Available with or without arms. The collection includes: a stool, chair, and chair with cantilever base with or without arms. Made in Italy.